It is wrong to look at Operation Decisive Storm merely as an incidental Saudi military operation against the Houthis. This is a Saudi policy combining diplomacy and war to stop Iranian influence then push it out of Syria and Yemen. We have heard this before, but where will this dangerous policy end and where will the line be drawn? To what extent will Iran tolerate these consecutive Saudi slaps in Syria and Yemen, and where do major powers stand on all of this? Answering these questions will help us find an answer to whether Saudi Arabia and Iran are heading to war. 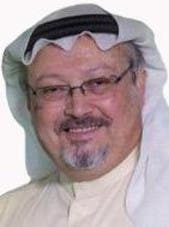 Does Iranian infiltration deserve taking such risks and costing the kingdom huge amounts of money, along with the possibility of an open war with Iran? Let us lend our ears to former U.S. foreign minister, competent analyst and illustrious politician Henry Kissinger. In his book “World Order,” published last year shortly before Operation Decisive Storm, he said the conflict with Iran was existential and covered the continuity of the kingdom, the state’s legitimacy and the future of Islam. While Riyadh is not executing an aggressive or intrusive policy toward Tehran and its strategic interests, Iranians are behaving as if Kissinger’s description applies to them too. First, the supposed friend of the kingdom, former Iranian President Hashemi Rafsanjani - who was the godfather of the Saudi-Iranian rapprochement in the 1990s - issued statements against it last week no less harsh than any extremist from the Iranian Revolutionary Guards. Then Qassem Soleimani, commander of the Quds Force and hero of Iranian forays into the Arab world, broadcast that his army and Syrian military leaders are in the midst of preparing for battle. What do they have up their sleeves? Will they execute an airdrop on the Syrian coast to protect it from the rebels’ progress, or send a large contingent from the Iranian army to protect the Alawite state that they wish to establish as a foothold in Syria? I do not know what the Saudi military response for such a folly would be, but I am sure both the kingdom and Turkey categorically reject any direct Iranian presence or division of Syria. Thus, we might consider Soleimani’s broadcast as one of the demarcation lines that may lead to a direct Saudi-Iranian confrontation. Also, the kingdom will not allow an Iranian foothold in Yemen. This explains the following Saudi attitude toward ongoing negotiations: The Houthis can live however they want inside their country, but they will never be considered a prevailing authority as the government is bound to be pluralist and participatory. Saudi Arabia does not want an open confrontation with Iran, realizing the high cost of such a war. The same goes for Iran, which knows that the military budget, especially for the air force, is not in its favor. Moreover, Riyadh has alliances with a number of Arab and Islamic countries willing to defend the Land of the Two Holy Mosques. Both countries have enough arms to destroy each others’ capacities. It is a binary threat and an important deterrence. Iran’s allies in Yemen are subjected day and night to a Saudi-led war against them until they turn to peace, and the blade is now closer to the necks of Iran’s allies in Syria and Lebanon. It is time to either give up these allies in a deal, or carry out the “surprises” Soleimani promised. Iran should know that Saudi Arabia will not draw back from what it started, and will continue until complete victory. Even though Riyadh is open to a diplomatic solution in Yemen, it is awaiting the outcome of the Muscat-Houthi talks under U.S. patronage. Meanwhile, it has not reduced the intensity of its military operations in Yemen, and was careful to let the Iranians know that the “Fahd line” still exists. This is an imaginary line drawn by the late Saudi King Fahd in the middle of the Arabian Gulf during the Iran-Iraq war. Iran was informed that any of its planes crossing this line would be shot down without warning. This happened on June 5, 1984, with two Iranian F-4 planes. Saudi F-16 fighter jets shot them down in the Gulf Sea. After that incident, Iran fully abided by the “Fahd line” until two weeks ago, when a civilian plane tried to land by force in Sanaa airport. This was followed by another entry attempt by a ship claiming to carry relief materials at Hodeidah port. Both times, Saudi fighter jets and marine vessels intercepted the intruders and made them retreat by force. Iran is now fully aware that the “Fahd line” not only stands but has extended to Yemen, and that the kingdom will not hesitate to deal with any crossing attempt. In both cases, Iran applied its famous “Edge of the Abyss” policy, with one unintentional mistake leading to ominous consequences: had the wings of both planes slightly touched, they would have crashed, leaving a trail of victims. This would have pushed one or both governments to an irrational war. In order to prevent this, the rational one must stop the crazy one who wants to score an absurd media victory. From afar, the international community led by the United States does not want such a nightmare to come true. Even China will agree with the West in this regard. This explains why Washington is making every effort to reach a peace agreement in Yemen, as it called for and sponsored the ongoing negotiations with the Houthis in Muscat. It has taken charge of the talks alongside Oman, while Riyadh and the Yemeni government are waiting. U.S. involvement in the crisis is useful. Washington will get introduced the hard way to the Houthis, who learned well from the Iranians in terms of lying, procrastinating and dodging. Their true colors will then be evident to the international community, and the latter will understand the Saudi position. If negotiations in Geneva are conducted, the Yemeni people will request that the Houthis and ousted President Ali Abdullah Saleh be bound by a ceasefire, that thousands of detainees be released, and that politics in Yemen be free. Victory to the Yemeni Popular Resistance can only be achieved by war, or the Saudi threat of a bigger war. Wars are always ugly, but a just war is necessary sometimes to achieve peace. This article was first published in al-Hayat on June 7, 2015.